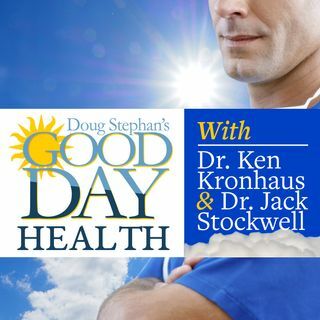 Host Doug Stephan and Dr. Kronhaus discuss the many benefits of Romantic Kisses, like improving your Immunity and knowing your compatibility to your partner. And, Hugs are good for your blood pressure. Next, studies show that 10-minutes of daily mild exercise can improve your memory. Did you know that your height can have an effect on getting Varicose Veins. Finally, news that Syphilis in babies is at an all-time high. Plus, lots more information about maintaining your Good Health.